Mother-Son Brunch: The Mother-Son Brunch will take place Sunday, May 5th at 11AM in the Andy Mona Student Center. The tickets are $25 and can be purchased on the school website. You also have an opportunity to purchase a tribute that can be added to the program booklet for this event. You can get your tickets by clicking on the link Mother-Son Brunch. Need Parent Service Hours? Consider donating a themed gift basket or other items with a minimum value of $40 for the silent auction and receive credit for one service hour. Donations may be left at the main office. Remember to specify your student’s name and that it is for the Mother Son Brunch. A Call for Volunteers! The Mother Son Brunch committee is seeking event day volunteers to assist with set up, serving and clean up. Volunteers will receive service hour credit for each hour worked at the event. Email Pam Williams at pstewart32@icloud.com for more details. Please contact that email if you need any additional information. We will celebrate a Communion Service in the BMHS Chapel today at 11:15am during the first half of prime time. All are welcome! 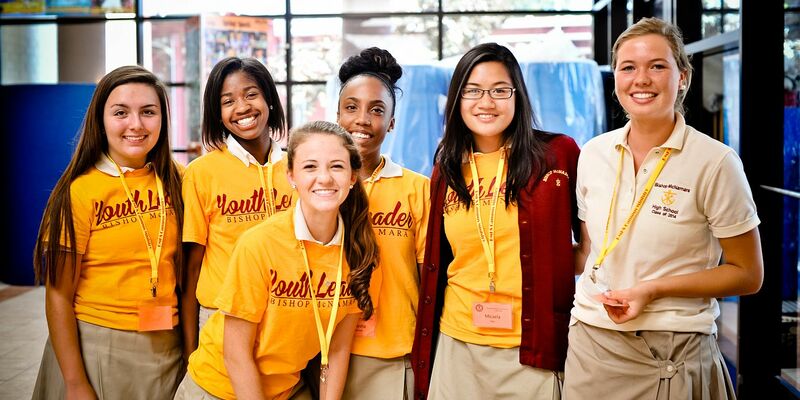 Sophomores and Juniors, we invite you each to consider applying for the McNamara Emerging Leadership Training (MELT) conference this summer (June 11-15). Mandatory info sessions this week have already begun and will be over before break, so make sure you choose one if you want to learn more and be able to apply. See the email from Mr. Sanneman for details. Math Power Hour will take place today from 3:15 to 4:15 in the resource center. Tutors must sign in by 3:20. Hope to see you there. The Science and Ecology Club is selling tomato plants for $1.00 each! These plants are several inches tall and ready to plant outside over the Easter break. Orders are taken by email to Ms. Steeger. Please see the posters for more information or send an email to Ms. Steeger (jan.steeger@bmhs.org). The sale ends Thursday and is first come first served. We will be selling flowers after Easter! We hope you can join us tonight at 7:00 pm in the Mona Center for the Spring Jazz Concert.